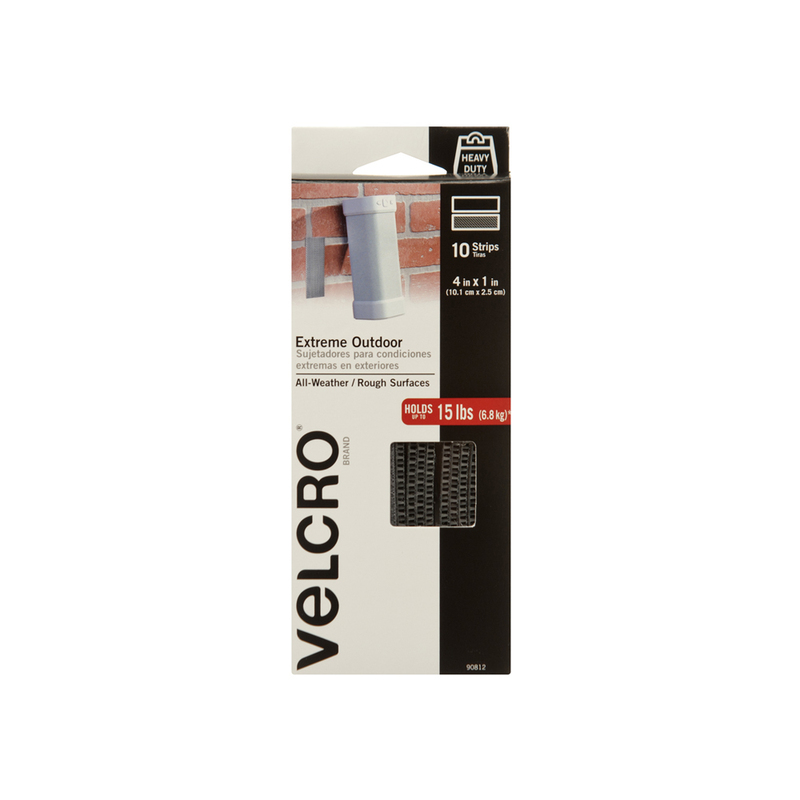 VELCRO® Brand fasteners with heavy duty adhesive are recommended for indoor or outdoor use on most smooth surfaces, including plastic. Note: Recommended for temperatures between 0°F to 150°F. Not recommended for fabrics, dashboards, flexible vinyl or underwater use. Continued exposure to full sunlight can damage fastener. May not adhere well to certain types of brick – testing is recommended. Can Industrial Strength VELCRO® Brand Products be used outdoors? Yes, all of our Industrial Strength products are designed for both indoor and outdoor use. Can I use Industrial Strength products on polyester fabric? Although the Industrial Strength adhesive is very strong and designed for heavy-duty applications, we recommend using products specifically designed for fabrics. Can this product be used to secure loveseat, chair and sofa covers? Yes, provided that there is a hard surface. Be sure that both surfaces are clean and dry prior to application. When both sides are attached, how thick are heavy duty VELCRO® Brand Fasteners? When applied and combined this product is about 0.25 inches thick. Can I use this to secure a rubber floor mat in place? Yes, this product will secure a rubber mat to your floor. Can I use this Industrial Strength VELCRO® Brand product to attach items to my fridge? Yes, as long as there is a flat, smooth surface. Is this heavy-duty product strong enough to hang a 5 pound door mirror? 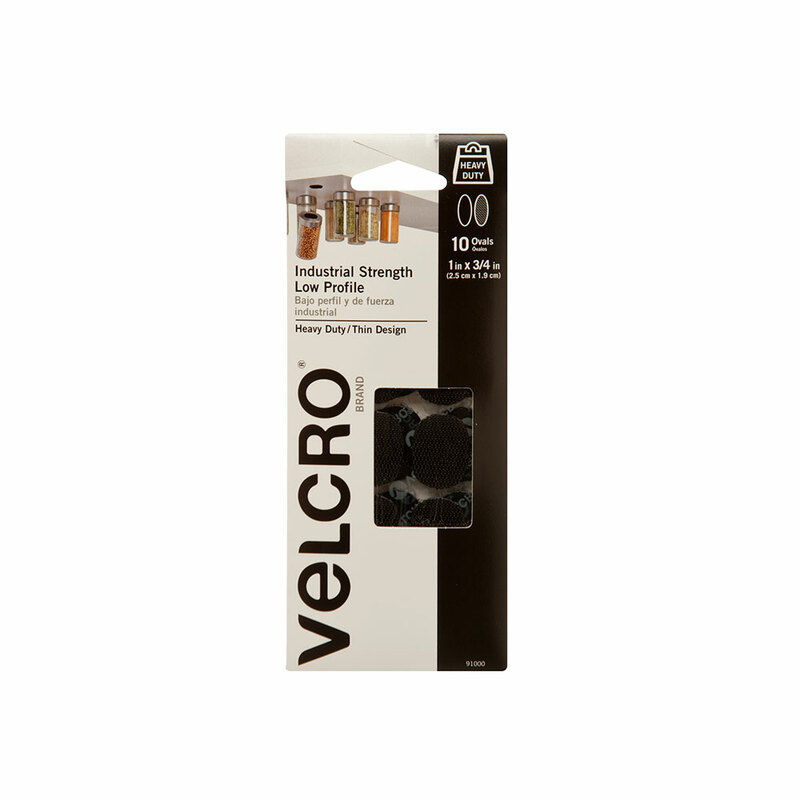 VELCRO® Brand Industrial Strength products are rated to hold a mirror of this weight, provided that the instructions for application are followed appropriately. Will this hold my truck’s floor mats in place? Provided that there are two flat, smooth surfaces which can be cleaned. Will Industrial Strength VELCRO® Brand Products leave a residue when I remove them? To ensure that this product holds up to industrial strength standard when it is removed, there might be a slight residue left behind. This should be easily removed by scrubbing with a household cleaner.